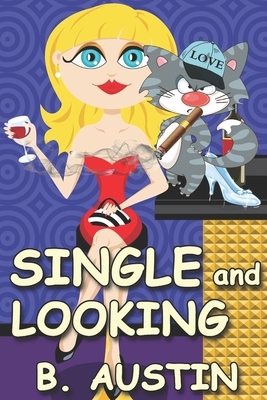 A HEARTWARMING TALE OF A 39-YEAR-OLD SCREW-UP, HER SEARCH FOR LOVE & HER TALKING CAT. Daisy is turning 40. To make the crises worse, her five sisters pray over her unmarried status, and then her cat begins speaking English with a British accent Well, no wonder the cat quotes William Shakespeare sometimes Daisy did name the cat Shakespeare after all. The mess of Daisy's life is even kookier because the cat is cursing and smoking now like a Downton-Abbey criminal, and the cat is drinking more alcoholic beverages, even though booze makes his whiskers wrinkle. Mm, there must be a connection to all this flowing alcohol, which may explain the bubbly in Daisy's brain. Even her blind dates, men referred by her meddling sisters, are named after liquor. Even with her cat's dating advice, Daisy has been looking for love in all the wrong places. Darn When God texted Daisy, after she parked in a church handicapped spot, she forgot to text back, "Where is my soulmate on my phone's map app?" A laugh-out-loud, feel-good book. ONE OF THE FUNNIEST BOOK EVER QUIRKY, WITTY and CLEVER.